Estimated Billing: Time for Reform? According to ZenithOptimedia global ad spending will exceed $520.0 billion in 2013. Based on common industry practices, the majority of this money will be prepaid by the advertiser based on its agency’s “estimated billing” invoicing process. Simply put, estimated billing occurs when an advertising agency bills their client upfront, based upon planned expenditures, in advance of performance and in advance of the agency being billed by the advertisers 3rd party vendors. With such a material level of expenditure at stake, the question to be asked is quite simply; “Is estimated billing the best approach?” In our advertising agency contract compliance practice, we are engaged by global advertisers to conduct financial management reviews and provide consulting support for effectively stewarding an advertisers marketing investment. 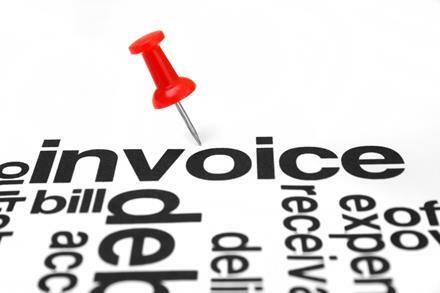 In two decades, we have seen many repetitive inefficient practices tied to estimated billing. By in large, advertisers trust their agency partners to act in a proper fiduciary manner when managing the marketing funds entrusted to them. As well intended as agencies may be, errors happen, delays occur and yes there can be non-desirable manipulation of funds limiting an advertiser’s ability to optimize the return on their advertising investment. Further, limited transparency into the unused portions of prepaid monies compounds the risk to an advertiser. It is understood that the premise of estimated billing was that advertisers did not want their agencies to function as their bankers, fronting money to 3rd party vendors to cover commitments made on the advertisers behalf by the agency. By billing upfront, once funds have been approved, agencies assure themselves that they will have the advertisers’ funds in hand once 3rd party vendors begin to invoice the agency for the products, time and services purchased on an advertiser’s behalf. Conceptually this makes perfect sense. No one in the marketing services supply chain wants the agency community to be at risk or to front funds to compensate 3rd party vendors for their clients’ purchases. Some agency practitioners operate as though possession is nine-tenths of the law, deploying advertiser fronted funds to their, rather than their clients’ advantage. When client controls are lax in this area, abuses of the fiduciary relationship frequently go unnoticed. One aspect of an agency’s fiduciary responsibilities is to transact client business in an open and timely manner, fully disclosing all commitments, incentives, balances and risks. Further, the agency must be willing to open their books at the client’s request, allowing the advertiser to review the accuracy of the agency’s financial management practices along with their compliance to the terms of the client/ agency letter of agreement. Instances where an agency provides push back on a client’s request for open-book accounting should be dealt with directly and immediately to mitigate any further financial risk to the advertiser. Given the amount of an advertiser’s budget directed toward media, this is one area which requires a keen level of oversight on the advertiser’s part. The combination of the consolidation of ownership among media companies and the growth through mergers and acquisitions in the size of agency holding groups creates a concentration of power which may not always be applied in the advertiser’s best interest. Clearly, “Big Media” and the agency holding groups have forged their own relationships and specialized deals involving data sharing, content development, inventory and financial incentives which are designed to benefit those entities, yet are reliant on the investment of funds by advertisers. Advertisers provide financial inputs which allow the marketing communications industry to exist, to grow, to innovate and to prosper. Therefore, it is the advertiser who should benefit from the financial gains tied to the use of their funds. Perhaps it is time for advertisers to consider rethinking the estimated billing process, particularly with regard to media purchases. Linking payment to the timely and complete reconciliation of media purchases would greatly reduce the likelihood of others profiting from the advertisers investment. Additional benefits would include the likely improvement in the time required to reconcile invoices, account for performance and to pay 3rd party vendors. This is in addition to the improved controls, reduction in A/P processing costs and treasury management benefits afforded advertisers in a move away from estimated billing.